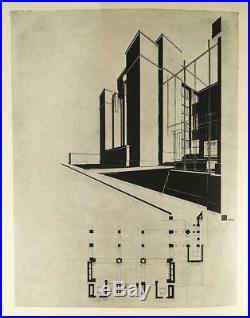 Modern Architecture : Being the Kahn Lectures for 1930. 4to, decorative paper covers. Portrait, [xii], [1-2], 3-114,  pp. First edition of this collection of Wrights lectures delivered before undergraduates at Princeton, inscribed by Wright to his sister, as follows: To Sis in all affection from Frank. CONDITION: Good, loss of paper along back edge of spine, worn at extremities, front cover slightly bowed with wrinkle in paper, covers moderately soiled and stained, contents clean. 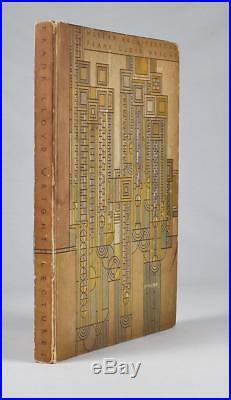 INSCRIBED COPY OF FRANK LLOYD WRIGHTS MODERN ARCHITECTURE 1931. 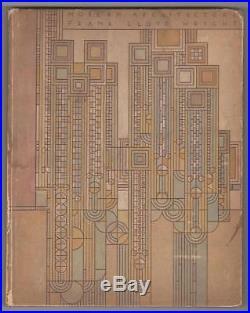 INSCRIBED COPY OF FRANK LLOYD WRIGHTS MODERN ARCHITECTURE Wright, Frank Lloyd. All of the items we offer are guaranteed to be as described. We do not sell facsimiles or reproductions, and strive to be as accurate as possible in dating the items offered. Please see our other listings for a fine selection of books, prints, photographs, paper, and art! Get images that make Supersized seem small. Tailor your auctions with Auctiva’s. Track Page Views With. Auctiva’s FREE Counter. 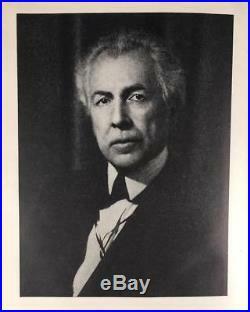 The item “INSCRIBED COPY OF FRANK LLOYD WRIGHTS MODERN ARCHITECTURE 1931″ is in sale since Wednesday, July 4, 2018. This item is in the category “Books\Antiquarian & Collectible”. The seller is “distantdeeps” and is located in Bath, Maine. This item can be shipped worldwide. This entry is filed under inscribed and tagged architecture, copy, frank, inscribed, lloyd, modern, wright's.